It's very simple to make your own ginger beer at home. Don't believe for a minute all the talk on the Internets, the truth is plain: Making the greatest tasty ginger beer is simple, cheap and fun. And no, you do not need a "ginger bug" or "ginger plant". And no, this is not an alcoholic drink, either! Water 6L - from your tap. Sugar 1L- the cheapest sugar you can find, nothing fancy needed. Ginger - an inch or two of ginger root from the produce section of your grocery store. Vary to taste. Lemon - use about half of the lemon juice and rind, keep the rest for something else. Dry Yeast - about 3 teaspoons. Raisins - a small handful or so. The ingredients are approximate. Nothing is cast in stone - feel free to experiment! Add the water and sugar to the pot. Stir to dissolve. 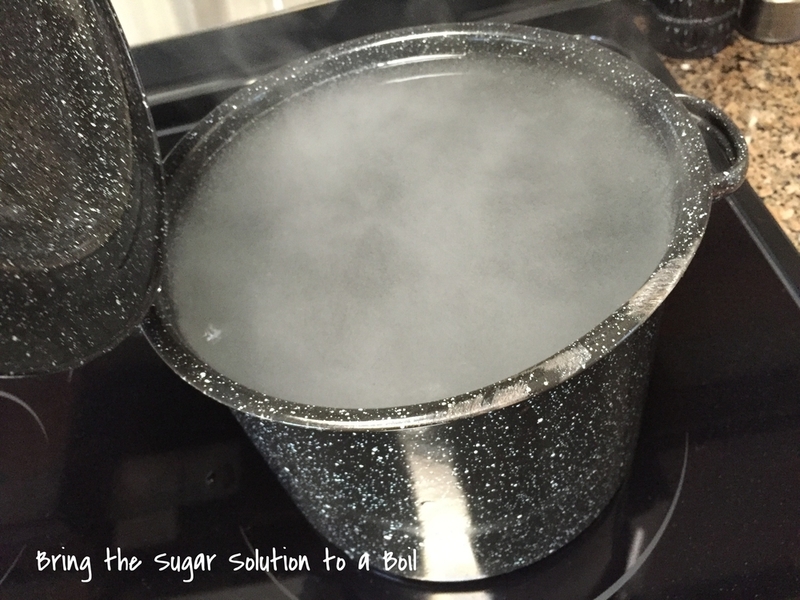 Heat the sugar-water mix on the stove until it begins to boil. Allow to cool down till slightly warm to the touch. Add the ginger, lemon rind, lemon juice, raisins and yeast and stir. Cover with a lid, and wait about 12 hours or so, until the mix is bubbling away merrily, and the raisins are floating on the surface. Filter through cheesecloth and decant into bottles that can handle the pressure. You could use old pop bottles, or beer-brewer's bottles, as I have here. Place the bottles in the refrigerator, and wait two to three days. Before that it will not taste at its best. You should probably drink within a week or so, although it never lasts long enough around here to test! Remove the lid slowly, allowing the pressurized gas to escape. There will be a lot of it, and the longer you wait before you open the bottle, the more there will be. The sediment at the bottom of the bottle will rise up, and the liquid will appear milky. This is normal, and expected. Pour into a glass, if you prefer, and enjoy! Did you make this recipe? How did you like it? Leave a comment!